Job-hunting can be difficult, as in the modern age, competition has grown exponentially and the focus is moving toward data and technology. Now, with new technology come many benefits. You can now apply for multiple jobs at a click of button, or you can indicate to employers and recruiters via LinkedIn that you are looking for new opportunities, by simply sharing them your status and work preferences. Yet, with all of this technology, comes a big downside and one major downside is fraudsters and hackers targeting LinkedIn profile users. 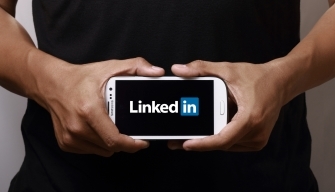 Fraudsters and hackers target LinkedIn profile users. Fake recruiters, companies and individuals pose as professionals, so they can snag your information, including your email, which is used for successful phishing campaigns. Once they have your email, they can use this to send emails, with malware-laced attachments, with the sole purpose to infect your computer and hold you to ransom. LinkedIn is being used for inheritance of advanced fee fraud scams, where it is requested that a small fee is paid up front in order to receive a large sum of money in return. Job scams are rife on LinkedIn, with fraudsters pretending to be recruiters or employers. Some fraudsters can gain significant access to data, such as reporting structures and assume the identity of senior CEO’s. They then use this to targeted employees, including asking employees to transfer money on the behest of the so-called executive. You caught my attention, I am interested in communicating more, sharing more about myself with you and hope to learn more about you too; that is if you are single and willing in communicating further. I do believe nothing is impossible if we put our mind and heart together just as I believe good things can be found in the least places. Let me know if you wish to communicate more and I shall write you back tell you more about myself. Never open an email received by LinkedIn and click on the link provided. Simply go straight to your LinkedIn profile. Fraudsters are getting very sophisticated in created genuine looking emails from LinkedIn. Be extra wary of messaging in LinkedIn if you receive unsolicited emails from profiles that look dodgy. Some of the messages contain links to websites with malware. Fraudster-led profiles seem to predictably use photos of attractive women or men from stock images. So simply do a reverse image search by dragging and dropping the profile pictures into Google images and see what it brings up. Use Google to copy and post job information and again, you can see whether it has been taken from somewhere else. Block and delete creepy emails like the one above. Report the account to LinkedIn. If you are asked for personal or financial information from so called recruiters and companies, run away quickly. The profiles can be of poor quality, such as missing large amounts of information or there is a low amount of connections. Low connections are a dead giveaway, as recruiters generally have a thousand or more connections. There are more genuine profiles than fake profiles and the bulk of connection requests are just fine. There are just so many advantages in growing your connection list, so don’t ignore these requests altogether. But the epidemic of fake profiles is real and while LinkedIn is pretty adept at suspending these accounts, fake profiles are now a fact of life, so use caution. GET FREE ARTICLES providing proven strategies to secure your DREAM JOB FAST! FREE BONUS GIFT: We’ll send you Carolyn’s ebook ‘The Essentials for Job Search Success,’ sold online for $9.95. We promise to never, sell, rent, trade or share your email EVER! Hi, I'm Carolyn Smith, a professional career writer. I specialise in selection criteria and resumes and I help my clients successfully secure jobs in both the public and private sector. ©2019 Carolyn Smith & Impact Career Services · All Rights Reserved.